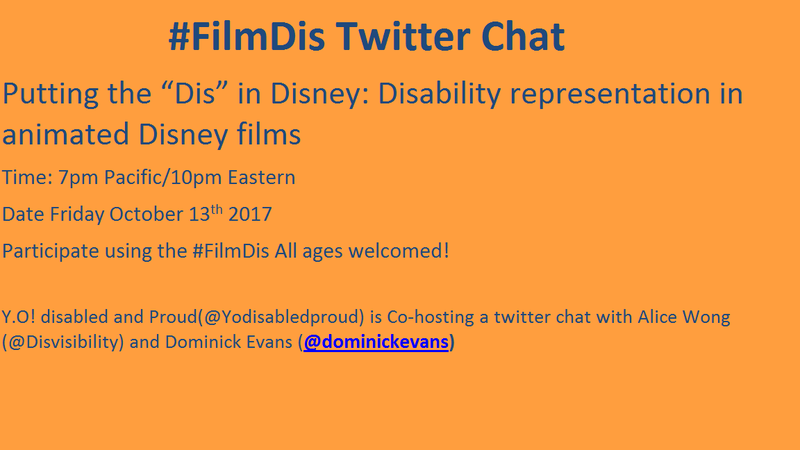 Friday, October 13 7 PM PST Youth Organizing Disabled and Proud @yodisabledproud along with co hosts Alice Wong via @disvisibilty and @DominickEvans will be hosting a #FilmDis Twitter chat to discuss disability representation in Disney animated films. we will not be including Disney’s amazing films created with Pixar…. That’s a Twitter chat all its own. 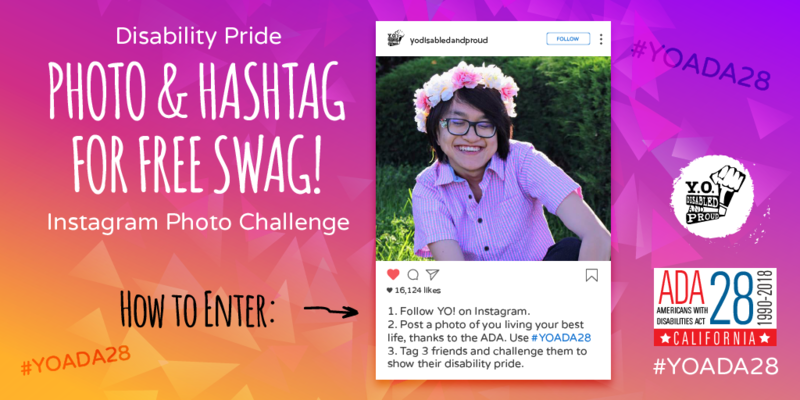 Hi my name is Yolanda Vargas, I am the Youth Organizer for YO! and I approached Dominick Evans and Alice Wong, who are giants when it comes to addressing disability representation in media, because I love Disney and I don’t think I’m the only disabled person who does. To my surprise they agreed to co-hosts this Twitter chat. The dialogue that I want everyone to be a part of is extremely important to me not only on a professional level but a personal level. Being disabled can be lonely and frustrating, because it seems like you’re the only person in the world like you. 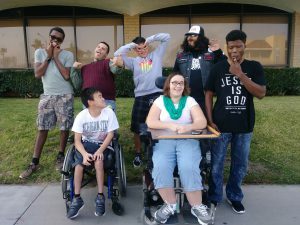 I’ve had cerebral palsy since birth and have always used some kind of mobility aid to get around. When I was six years old I thought I was supposed to be elderly, because I’d only seen elderly people use wheelchairs and walkers. Then I saw a movie called The Little Mermaid and it blew my mind; not only was she obsessed with legs and trying to fit in she also had a ton of sisters and an overbearing father. So basically six-year-old me with red hair .Secretly though, my favorite part was that she got to fall in love and that in the end the person didn’t care that she had fins instead of legs (Though honestly Prince Eric you couldn’t figure out that she was the mystery girl who saved your life? The dog did!). Now that I’m older, I’m not obsessed with “fixing” myself or trying to fit in. I am proud of my disabilities .Thanks in large part to Ariel I realized that regardless of how you get from point A to point B it’s the actions in between that make your life an adventure. If I didn’t have Ariel I don’t know who I would be. Maybe I would listen to authority more, not take chances as much, and take my voice for granted (pun intended); which sounds absolutely horrible! A little mermaid taught me how to be a courageous Disabled Latina Queer Activist who embraces every part of myself, from the top of my head to the tip of my fin. Also I absolutely have to give a shout out to the best donkey in the whole animated world! Eeyore taught me that it’s okay to be depressed, to not pretend to be happy; even if all your friends are, and that good friends let you feel your feelings. This jackass taught me that depression is okay before I could even put what I was going through into words. 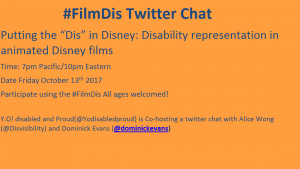 So please, come share your thoughts, feelings, and hopes for the future as we talk about why disability representation in Disney films is so important!